I think this video shows how we as creative image makers, whether it's stills or video, need to pay attention to new areas where projects with a broader scope can appear. It's not about finding a job or being commissioned. It's about creating the job you want to do. Let's explore potential projects you can start if you're just starting out. There are many ideas about how you can mix concepts. It's taking the photography you want to do, and actually getting started and shooting it. Your work is your showcase. The safety video that Singapore made is an example of what can be done in the travel video and photography industry. What other industries can you target? If you live in an area that has Uber Eats or any food delivery service delivering in your area and you find any restaurants on the app without photos of the menu item, contact them and arrange to shoot some for them. The first couple could be for free, and after that, you can license the images or sell them online to that restaurant. If you aim to shoot for corporate or commercial clients, create a how-to video explaining something. Maybe even make a video of how you work. This will show them how well you are able to explain an idea or process. If you shoot corporate portraits, how about a video where you are shooting yourself and where you explain what you would like to show in this portrait? It's not about the ideas. It's about actually executing them. The ones who actually make the calls and set up the meetings are the ones who will get the projects and build a network by doing so. So let's go! Brilliant. Paying attention never looked better. So clever, love it. Flying Singapore Air is always a treat - this video is very representative of the service they deliver, which is fantastic. To bad the American airline industry can't seem to follow in Singapore Airlines as well as Etihad and Emarites in the proper way to run a business. I feel it would help everyone if they stopped cramming so many people at such a low cost. Instead, remove the added seats ( if a plane was built with 140 seats. but they crammed them together creating 160 then not only is it uncomfortable for most but now you have less space in overhead compartments and longer times to board/unboard) spread the very slight added cost to all passengers (it would only add $5-8/seat) and all will be happy. Great find and share. Definitely inspirational in so many ways. Something so common made… uncommon. I can't remember feeling relaxed and calmed by watching a safety video before this. I flew Singapore Airlines yesterday and they still had the old video. I wonder why they didn't use this one. Very cool, thanks for sharing this, my imagination is running right now for other potential videos! Awesome !! I want to fly On Singapore airlines just because of the ad. Beautiful and amazing. The video can serve as an example when you want to explain to your friend why it is so good that there are creative people in the world! It is only a pity that with their great ability to make a great presentation for their company competes their reluctance to run bonus programs. 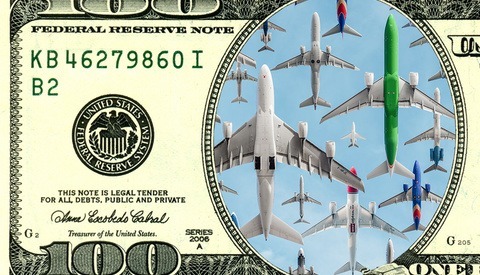 For example, airline miles, which are practiced by other companies. Very handy thing, which is especially useful for the person who travels frequently on photography trips or on work associated with the survey. P.S. My friend-photographer with experience of 12 years advised me service (https://milesbuyer.com/) that helps to collect your bonuses in one place and get a profitable ticket! You can look!